Throughout its gradual advance across Canada in the 1880s, the Canadian Pacific Railway had financially assisted in the creation of detailed inventories of documentary photography, to both publicize its awe-inspiring transcontinental line and to further assert its ambitious involvement within a wider scheme of exploration and development. 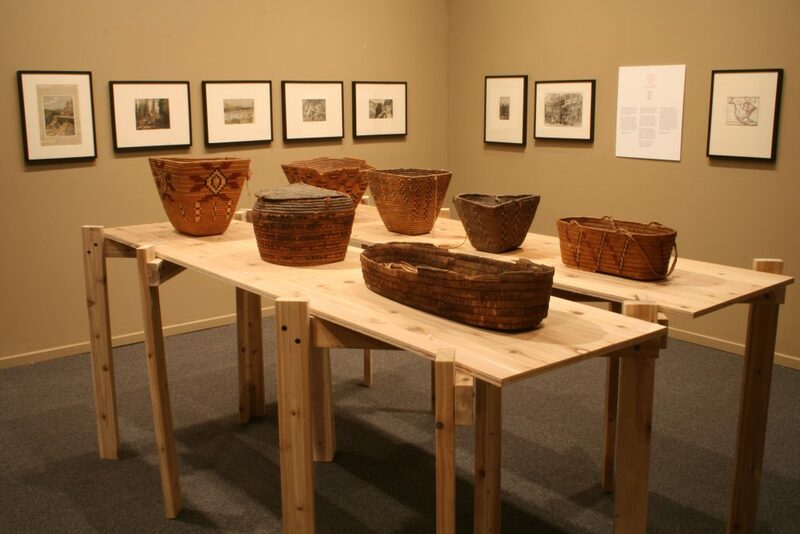 Photographic documentation made between the Rocky Mountains and the Pacific Ocean, within the Interior and Coast Salish culture regions of British Columbia, created a wide-ranging inventory of picturesque mountain scenery and sublime of previously unknown, unrecorded territories and terrains. In the process of their documentary work, pioneering field photographers recorded continuously expanding points of contact between aboriginal inhabitants and colonial intruders. 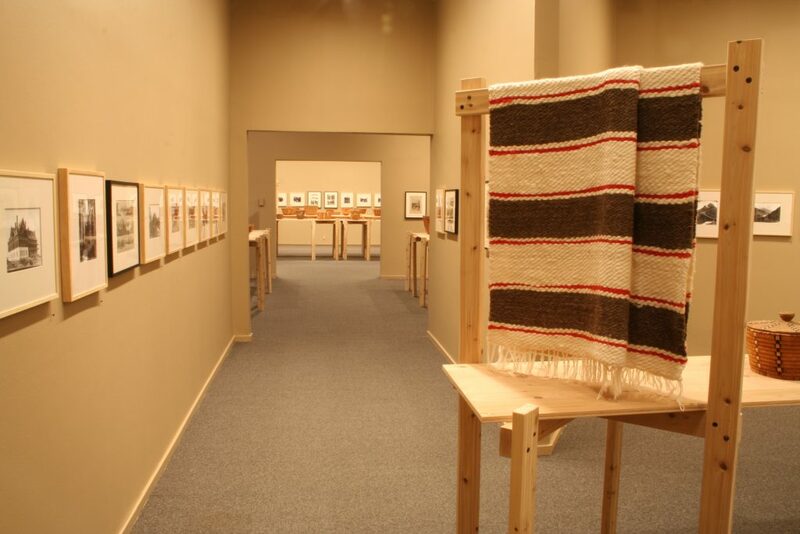 Laid Over To Cover: Photography and Weaving in the Salishan Landscape presents a culturally important group of traditional and functional artifacts: nineteenth and twentieth century wool and cedar weavings produced within a network of inter-related and over-lapping oral traditions. 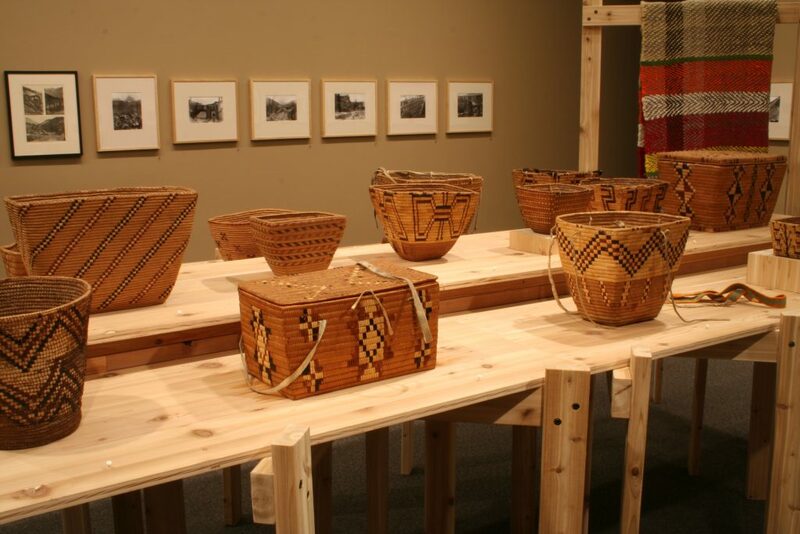 This legacy is expanded in the exhibition and brought into the present with the work of contemporary practitioners Keith Nahanee (Squamish Nation), and Melvin Williams.